This is the first review of a documentary movie here but I felt compelled to write it after watching it last weekend. The movie tells a sad story about the rather unusually short life cycle of this particular vehicle – EV1 by General Motors. 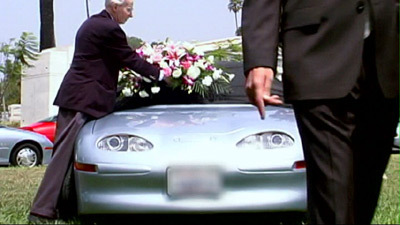 It is probably the first car in history that was honored with a funeral ceremony attended by a crowd of loving owners. They intended to keep the car in production after the manufacturer announced shutting it down and, ultimately, they failed. You’ll see some familiar names – Mel Gibson and Tom Hanks among them- speak approvingly of the car and you’ll hear stories about long waiting lists and lessees forced to give the cars back that sounds like a car salesman’s dream. Yet after 9 years after production began the only car left is in an automotive museum and it is said to be specifically “disabled” by the manufacturer. If you were asking yourself “why” some twenty times during watching this 40 min movie, you are not alone.